The new range of high security cylinders from Asec has just got bigger. The Asec Kite Elite cylinders are now available with Thurmturn options which allows easy locking and unlocking from the inside. Currently the thumb turn Kite Elite cylinder can be purchased in a Nickel Plated finish with an overall length of 70mm, 80mm, 85mm and 100mm. For easy operation of a number of cylinders, the Kite Elite cylinders can be keyed alike, this allows the same key to operate a number of cylinders, ideal for small business and homes. 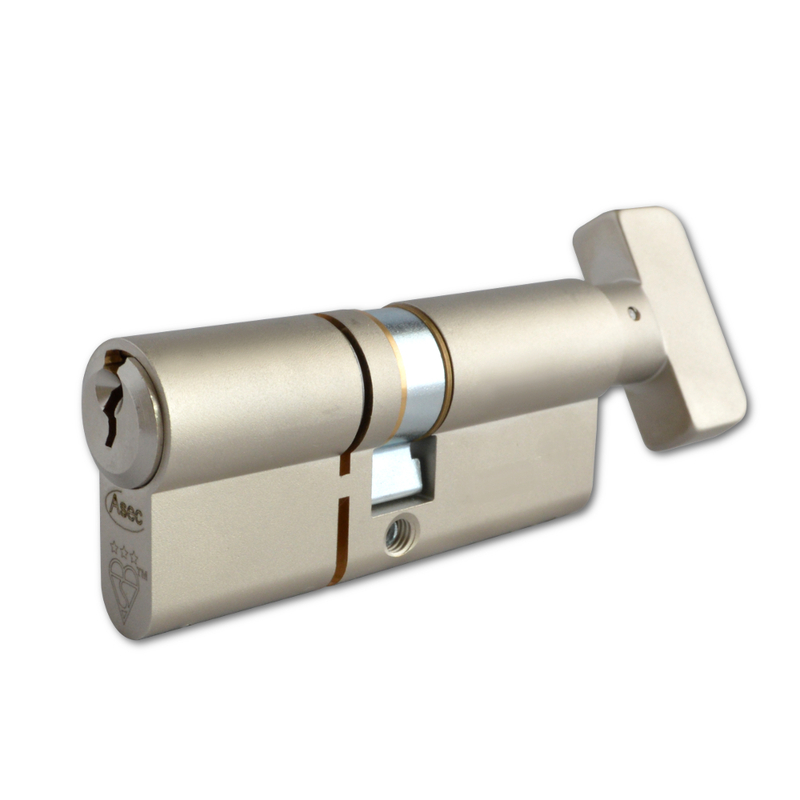 Both the double cylinder and thumb turn cylinders can be keyed alike into a suite. Contact the locktrader.co.uk sales team to make an inquiry about these high security cylinders or place an order online, just search for Kite elite.